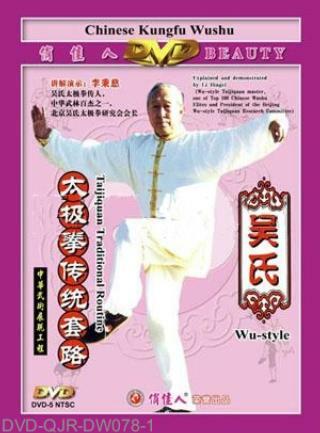 This traditional routine of Wu-family-style Taijiquan has 83 forms and is separated into 326 movements. Each form has two movements organized by odd and even numbers. The odd means opening and even means closing. Opening and closing are naturally arranged. Its movements are well arranged and regarded as the standard in this set. During practice, the internal energy and external performance should act as one and both body and mind are trained together.